The working principle for the Vacuum Oil Purifier is to pump the oil in the oil tank to the rotor, until the oil is full of the rotor and then along the lower part of the rotary table nozzle ejected, and then the driving force to make the rotor high-speed rotation. The rotating speed of centrifugal oil filter in oil filter can reach more than 4000-6000r.p.m, and the force generated is more than 2000 times of gravity. The principle of centrifugal force directly drives the impurities to separate from the oil. The separated impurities are attached to the impurities collection cover in the rotor and only need to be cleaned regularly. In addition, because the specific gravity of water than oil, under the effect of centrifugal force, water from the oil separated from the presence of the rotor oil pan, only in the cleaning can be removed. The filtered oil flows directly through gravity back into the tank. The centrifugal oil filter is simple and effective. 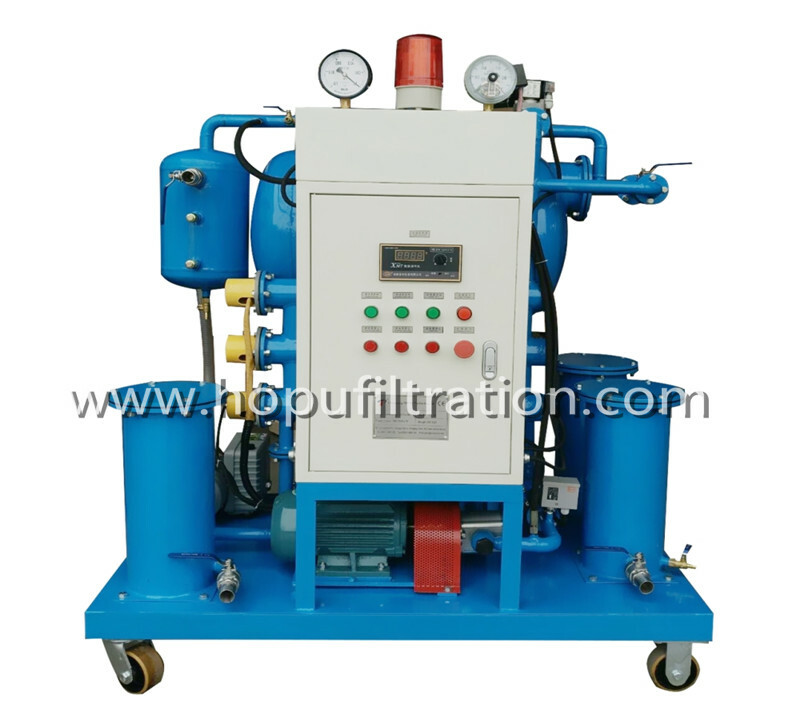 As a Vacuum Oil Purifier Filter manufacturer,welcome to purchase our products.